Q1 2017 summary: 3% colder, 6% more usage and 20% less sun as compared to Q1 2016. I’ll say it, it was a whacky winter. Lots of cold days, but also lots of warm days. It would be warm for a week or two, the ground would thaw, then we’d get snow. We recorded a low of 3.3, quite a bit warmer than the -17.3°F last year’s low. Our high was 73.6, less than the 78.5°F last year. In 2012 we recorded a high of 82.4°F in the same period. Our heat pump used 955 kWh last year and 1,195 kWh this year. Thats about $180 in electricity. 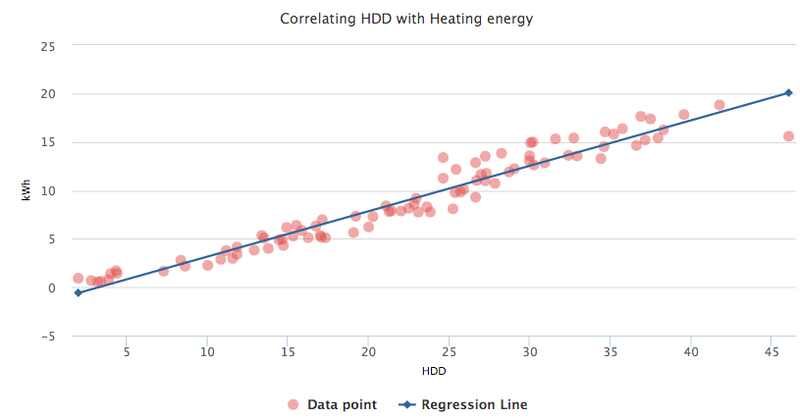 We’re getting a fairly consistent correlation between energy use and heating degree days using a base temperature of 65°F. The higher energy use was directly correlated to colder temperatures. Plus there was more snow to hide the solar panels and it was more cloudy, so we generated less energy as well. Last year the grass was just starting to green up and we had a few plants budding out. A few trees looked like they were ready to pop. Not this year. April 1 we got about an inch of ice/snow and it still looks like Winter out there. As always about this time of year, we are most definitely ready for Spring!